Are hybrid cars a better option in Singapore? This is what we found out. ARE HYBRID CARS A BETTER CHOICE? Hybrid cars are known for their excellent fuel economy, but they also tend to cost more than their conventional counterparts. Let's have a look at the benefits of driving one. 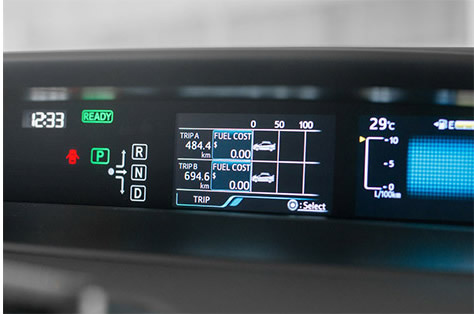 Have you asked someone about their hybrid car's fuel consumption, get a shock when you hear about it, and wished that you are driving one as well? We sure did! But it also made us wonder if the higher initial cost to get one will outweigh the benefits they offer. 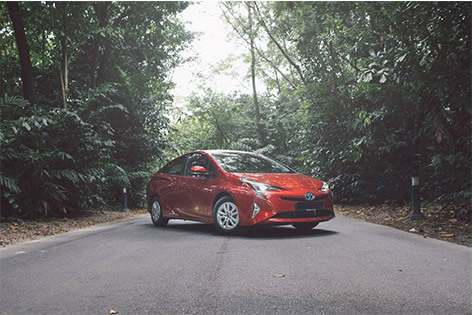 This is why we have decided to look deeper to find out just what benefits over regular cars do these hybrids have, and whether they are a better option here in Singapore. Long before fully electric powered cars are readily available, hybrid cars were the poster child of green vehicles. Among the conventional vehicles on the road, cars with petrol engines produce the highest amount of carbon dioxide (a greenhouse gas which is a major cause of global warming), while diesel-powered vehicles emits more nitrogen oxide (an irritant gas that can form smog and cause acid rain). Electric motors, on the other hand, emit neither of those harmful gases. To lighten the load on the engine, hybrid vehicles use an electric motor to assist their engine, and can be engineered to emit less harmful gasses. Hence, hybrid vehicles are an environmentally-friendly, low-emission choice of car. Internal combustion engines create power from igniting an air and fuel mixture. Couple these explosions, which occur thousands of times a minute, to the complicated parts that make up an engine, it is unsurprising for them to be loud. Electric motors, on the other hand, operate silently. 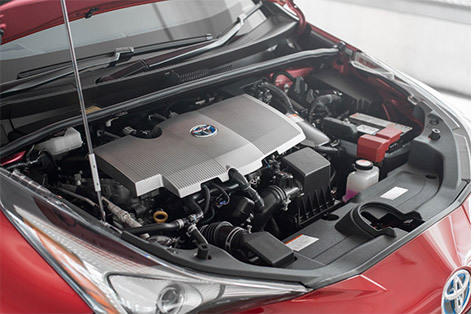 With the help of the electric powertrain, hybrid vehicles tend to produce much lesser noise. At low speeds, many hybrids are able to be powered solely by the electric motor, allowing them to move silently. The electric motor will also assist the engine when it is operating out of its powerband, or in situation where additional torque will be helpful. You see, electric motors are able to produce maximum torque from a standstill, unlike engines which have a limited powerband. By making use of the electric motor to get the car up to speed before the engine takes over the job, the engine do not have to work as hard and hence produces much lesser noise. By having an electric drivetrain to support the engine, it will consume less fuel as it does not have to work as hard. So, where does the electricity that powers the motor come from? Surely it isn't free? Apart from Plug-in Hybrid vehicles, which allow their batteries to be charged through an external power source, hybrid cars obtain their electricity through two ways. Firstly the petrol engine powers a generator to recharge the battery. Secondly, a regenerative braking system harnesses the energy that will otherwise be wasted as heat and brake wear, to charge up the battery. These systems work together to power the car much more efficiently, and as such result in a much better fuel economy, which will significantly reduce the running cost of the car. Additionally, hybrid vehicles tend to offer excellent range. This is due to the additional electric drivetrain with its own power source (batteries) and the high efficiency that is achieved by using it to negate the inherent inefficiency of the internal combustion engine - its narrow, limited powerband. This means that you will not have to worry as much about the availability of petrol stations when going on long road trips. With the assistance of the electric motor, the engine will experience less wear as there is lesser load on it. 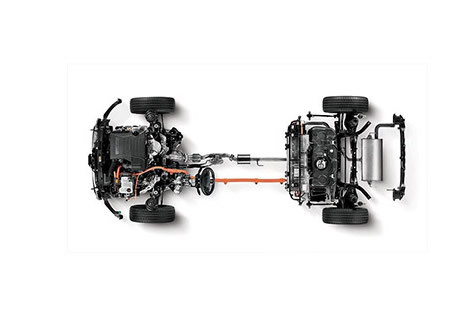 As we've mentioned earlier on, the instant torque of the electric drivetrain aids the engine in situations where it will struggle to generate sufficient torque, such as moving off from a standstill. As such, the engine will not have to work as hard, keeping wear and tear to the minimum. 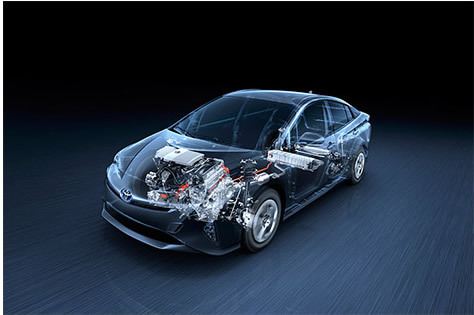 The regenerative braking systems found on hybrid cars are able to reverse the function of the electric motors, generating electricity while slowing the vehicle down. 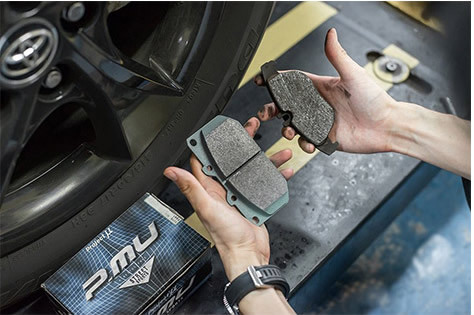 This means that brake pads are usually able to last much longer than in conventional vehicles. All these benefits contribute to a lower running cost and worry-free experience when driving a hybrid car. When hybrid cars were first introduced, the technology behind them were not well understood, hence it was difficult to look for workshops and service centres that can cater to their needs. Furthermore, what many car owners might fail to understand, is the importance of using the correct engine oil. Generally, engine oils are differentiated by their viscosity (i.e. 5W-40, 0W-20) and their API (American Petroleum Institute) rating which certifies the quality and performance standards of the oil. Incorrect or subpar engine oil will result in excessive wear to the precious components in your engine, causing expensive components to fail prematurely, resulting in costly repairs. 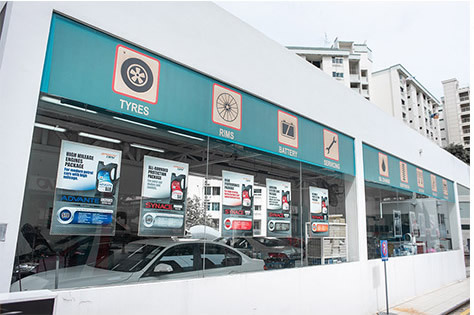 Currently, SPC's Speedy Care service centres which are equipped to service and maintain hybrid cars, are conveniently located at 10 SPC service stations across Singapore. 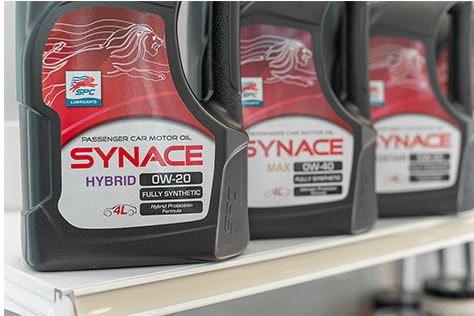 The SPC SYNACE Hybrid 0W-20 fully synthetic engine oil is specially formulated for hybrid cars, with a hybrid protection formula, to minimise wear from the regular start-stop of the engine while reducing engine friction and improving fuel economy. SPC SYNACE Hybrid 0W-20 also meets the highest standard of API-SN PLUS (API-SN PLUS is the latest, most stringent engine oil standard introduced in 2017), ensuring the best performance and protection for your engine. This ensures that hybrid car owners are able to get their cars maintained conveniently, without any worries. 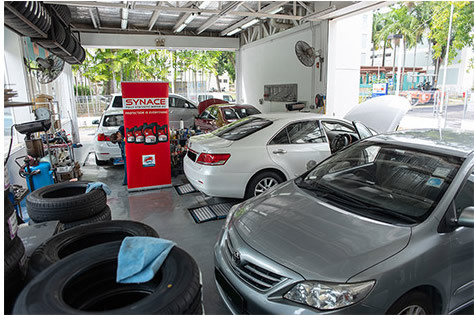 SPC currently offers its hybrid car servicing package with SYNACE Hybrid 0W-20 at a special price of $148. It includes an oil filter change as well as a 14-point comprehensive check that includes important components such as brake fluid, power steering fluid, transmission fluid, air filter, undercarriage and many more. 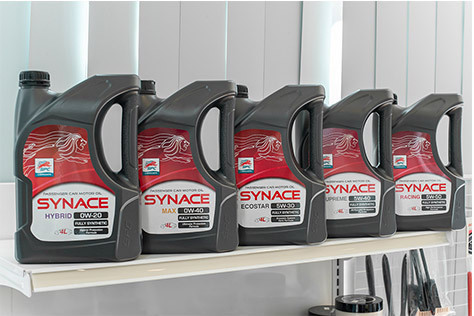 > Get your car serviced with top-range SYNACE engine oil. Click here to book your Speedy Care appointment now!